But that’s not a tone I want to set. I have prided myself as an educator, and always look for the truth in even misinforming articles. There’s usually a gem of information hidden, no matter how deeply buried. First I’d like to invite Justin to explain where he got the information, what was the basis for this article and the beliefs it seeks to spread. The article starts by saying that powerlifters and bodybuilders should stop reading; what separates them from the “athletes” in the very next paragraph. 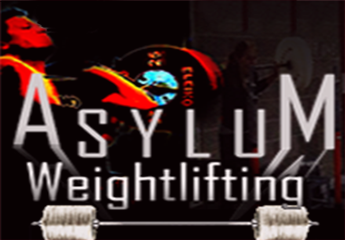 Any instructor, S&C coach, Personal trainer or sports professional needs to understand the anatomical adaptations of sarcoplasmic or myofibrilic hypertrophy, and the benefits of maximal strength exercises such as the Squat and deadlift, as well as the movement restrictions that can be incurred from limiting range of movement, as well as the differences in the training methods that provide the stimuli for the different biological responses in the body. In short, muscle building and strength training are two of the main resources for athletes, open minded or otherwise. Without strength, an athlete cannot generate power, force, basic stability in the joint. Without muscle building exercises, strength can be limited, extra muscle mass is also an integral part of an athletes metabolism, as well as injury prevention in certain circumstances. So…. What should we be doing? ACL injuries are common in women, we need to ensure full range of movement and stability to help reduce the likelyhood of tear. Was there underlying glute med issues, internal or external hip rotation problems, as is common in women; and more importantly, if so, how do we fix this underlying problem without increasing either strength or muscle mass. Age appropriate exercises are everyones responsibility, and a bar breaking a tibia in Olympic lifting? 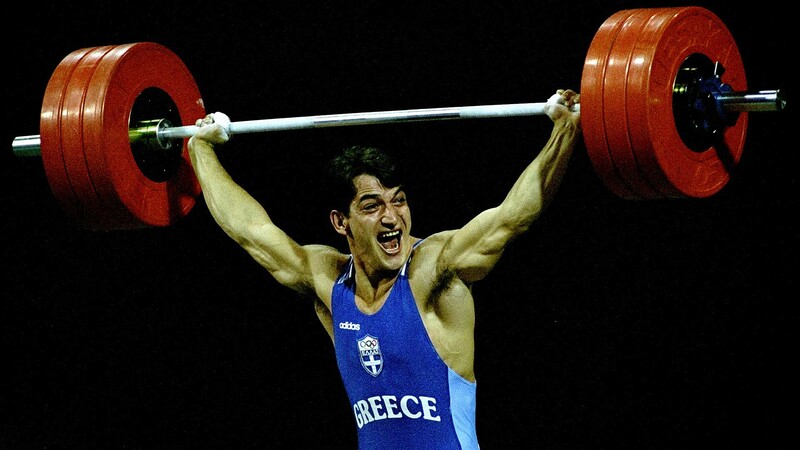 That I’d really need to see; As a coach and international athlete of 15 years, there is no physical way of performing an Olympic lift and breaking a tibia with the bar, unless it’s been accidentally dropped and landed on the front of the shin in the worst possible set of consequences. You’ll be bored senseless if I run through all of the injuries mentioned, but in honesty they all have a common theme; either poor instruction, or accident not caused by the performance of the exercises themselves. When you constantly have a debate, maybe it’s time to re-evaluate your knowledge level. Athletes squat past 90 degrees with resistance for a simple reason. It keeps posterior, anterior, medial and lateral muscle balance. One of the main causes of injury in field sports is hamstring tears. Squatting to parallel has less than 1/3rd the glute activation of the deep squat. This leads to quad dominance, tighter muscles, limiting range of movement and an increased risk of injury. It’s not that it isn’t functional, it is, but biomechanics are something that requires a very in depth understanding of movement. Take sprinting; acceleration forces require a strong posterior chain, with strong glutes and erector spinae to drive the body forward, strong hamstrings, reducing the length of the leg to allow more efficient movement of the leg, increasing how quickly you can get the foot into a position to provide the next driving step. Jumping is the same, as well as a host of movements that are essential to sport, health and every day life. If you only squat to parallel, you’re decelerating, under load, stopping, applying most force, to change direction all where the weight arm lever on the knee is at it’s greatest. 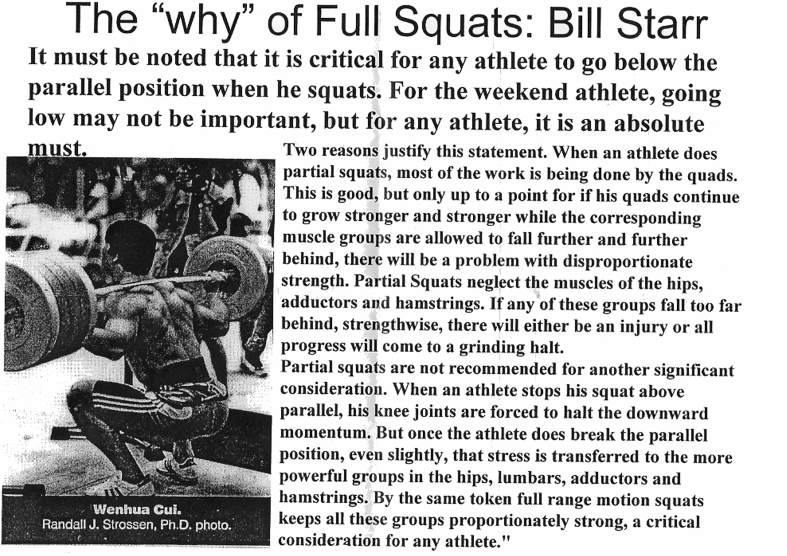 In short there is no greater sheer force on the knee, (& patella tendon) than when the person squatting, only goes to parallel. When you squat below parallel, the stronger muscles of the hips have significantly more activation, bear more of the load, and reduce the stresses on the knee. The knee as a hinge joint does not like rotation, which is why strengthening the glute med, ensuring stability, avoiding internal hip rotation under load, by going to full depth is so important. This is why you start the exercise with toes turned slightly out, this allows a full depth position, taking rotational forces away from the knee, and allowing circumduction at the hip. So, should we stop at 90 degrees?… absolutely not. It carries the greatest risk of muscle imbalance, limiting range of movement, greatest amount of sheer force on the knee, increasing the risk of damage to the patella tendon, as well as negating the benefits to the glutes and major hip muscles, as well as promoting muscle imbalance. Here’s one that I can see where he’s coming from…. problem is he’s coming from a perspective where there’s poor performance of the exercise. If you want the TLDR explanation for this particular part. Do the exercise right, and you’ll be just fine, better than fine, and stronger into the bargain. Muscle and bone degenerate when it is left unused or underused. So how to we maintain the anatomy we have longer into the twilight years; simple, train it. Just like cardio, interval training or general cardio training keeps the heart and lungs functioning better, longer, resistance training does the same for the muscles, bones, tendons and ligaments. To increase it, you need to lift … more. Seems elegant in it’s simplicity and it kind of is. Osteoblasts are stimulated by compressing bone, this is how resistance training builds stronger bones. Ligaments thicken, muscle fibres too. In short, resistance exercises prevent exactly the problems that have been advocated to avoid by not doing resistance training. It’s a catch 22, if you don’t train it, it gets weaker, if it gets weaker, it’s easier to injure, and the more and more likely the injuries that are described are going to become reality. So enjoy your deadlifts, lift heavy things, it may just save that bad back in later life, because it’s stronger, more structurally sound and can deal with all those little jobs around the house, because the big jobs in the gym have allowed you to go home prepared. Again, tissue is maintained through resistance and exercising the muscle. As ageing is a contributing factor to tissue degeneration, prevent it while you can, and live a long, healthy life, free of the defects of an attitude that says, I suppose I may as well accept my fate. I’ll use an analogy for this one. You’re in a car, travelling down the road and somebody, without looking pulls out of the junction in front of you. Or. You can use your brakes, try to steer around, and use every tool at your disposal to lessen or avoid the impact entirely. Personally I’d go with number 2, I may not avoid the impact, but by at least taking preventative measures, it’ll lessen the impact and potential damage in the long run. Who knows, it may even save you years of pain and discomfort by taking action while you can…. PS: Smith machines are for chin ups, anything else is a movement your body is forced into, we move in 3 planes, stabalise in 3 planes, the smith machine works in 1, get a bar, your knees, back and training will thank you. This one’s a hard one for me, I’m not a fan of the exercise, but it does have it’s place; and it’s place is not performed with a limited range of movement. Shortening muscles, increasing a risk of tear and removing a stabalising force on a stabalising joint is not the way to perform this exercise. Get your full range, break the plane with your elbows, and if you are a powerlifter or someone who relies heavily on bench, work your posterior as well, maintain muscle balance as best you can. If you find your shoulders start to naturally internally rotate, increased flexibility through stretching, strengthen up the lats, trapezius, rhomboids etc. Seriously the old adage is true, you’re not going to get anywhere by lifting weights in a gym that weigh less than your purse. This section actually started off with promise, despite the headline. Function is essential, I’ve talked about full range of movement a number of times already, but what good is full range without the stabalisers allowing the joint to actually…. you know… function. For stability, muscles need strength, for strength you need to train against resistance. When it comes to sport, those impacts can be huge, and without resistance training, the impact forces alone in contact sport could be enough to seriously injure, or potentially kill an untrained athlete. The body’s ability to adapt to stimulus is one of the key survival mechanisms that has allowed our species to get this far. However there is a caveat here, and it’s that word –Stimulus. Innervation of muscle fibres, activation of fast twitch fibres requires resistance. If you don’t provide resistance training, you will not get stronger or faster. Medium weights build big bodies. Heavy weights build strong athletes. 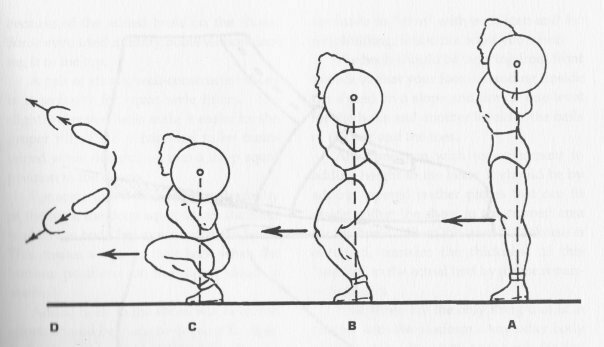 Cleans & Snatches, awesome for explosive power; but to get any better, you have to cause the body to adapt. Here’s the basic principles – Your body will stay as it is, and naturally degrade over time, it’s called homeostasis. Thing is, that’s if we do nothing. So we go out and do something….. Overload, that’s when the body has done enough of something that it has to make a change in case it needs to do it again. So it makes little improvements, (supercompensation) and we get just that little bit better, over time the cumulative effects of these small improvements add up, and that’s how we get stronger or faster. Without resistance, the stimulus is not enough to start this process, one of the main ways of getting stronger or faster is the use of resistance. In a gym scenario, that means lifting heavy weights. The increase in bone mineral density has been shown to help reduce osteoporosis and osteoarthritis. The increased muscle mass increases the metabolism, burning more energy, even when the gym was hours or days ago. The body’s ability to regulate is also affected in a positive way, with athletes who’ve underwent clinical studies involving resistance training showing a reduction in blood pressure both systolic and diastolic, increased cardiac output, lower resting heart rate, increased insulin sensitivity, lower body fat percentages within the healthy range, reduction in postural defects or muscle imbalances, which also reduces the likelihood of muscle tears and injury. So athlete, bodybuilder, fitness enthusiast, or even just couch potato looking for a way to improve, resistance training, and heavy weights are key to your development. The trick is to work at a suitable pace, with competent supervision and above all, good technique. That’s how to avoid the issues, while solving the problems. Functionality is an essential starting point, this much is true, but functionality is only part of the puzzle, if you ignore everything after the ability to move, you lose the ability to move effectively or build upon the solid foundations. Think of it like a house, build on shaky foundations and there’s always the risk of catastrophe. Functional movement builds solid foundations. Thing is, once the foundations are solid, the next thing you have to do is build on them, that way the foundations will have a chance for the function to be useful. I honestly think that not even Justin believes what he has written, i may be being cynical, but it looks like a way to stir up discussion, but there’s a serious problem if that’s the case. Some people will believe what was written as fact. For those, this is a very harmful article, and rather than stir discussion and learning, it’s providing misinformation, falsehoods, that will serve to entrench already widely believed, but wholly disproved and outdated information. If it is a genuine article, believed to be factual and genuine advice by the author, then it shows a frightening lack of understanding of the basics of exercise principles, uses of functional movements, as well as long term player and athlete development for somebody in such a high profile position. It goes beyond unprofessional, and strays alarmingly into irresponsibly. As more people crave the need to learn and many others begin to use biomechanics terminology, concepts such as centre of mass and base of support begin to be discussed and thrown around when technique is mentioned. In any system, due to gravity, if the centre of mass falls out of the base of support, it disturbs the physical balance of the system. But in weightlifting, there are a few important points to be established when talking about the centre of mass. 1. 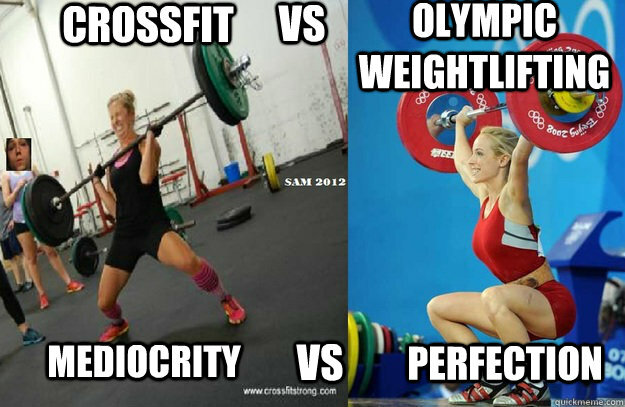 There is more than just the weightlifter’s centre of mass that needs to be observed.